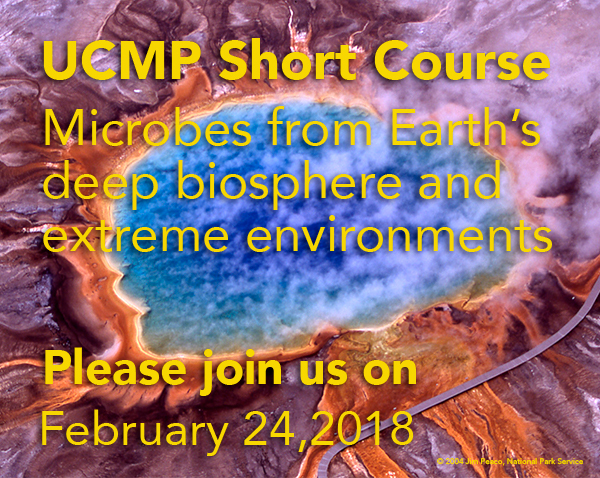 Each year, normally in the spring, UCMP presents a weekend short course in current topics of interest. The course is appropriate for the general public, and also contains information and activities of particular interest to science teachers. Whales have an evolutionary history stretching back more than 40 million years when primitive cetaceans first took to the sea. These marine mammals include the largest animals ever to have lived on Earth, making them the subject of both popular and scientific fascination. Research on modern whales’ size, morphology, migratory patterns, and sensory mechanisms continues to be informed by their fossil record, which also raises new questions about their unique adaptive and evolutionary transformations. 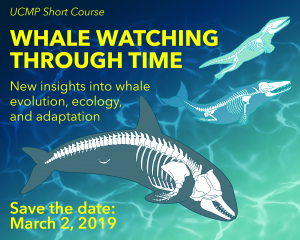 Please join us to explore the latest research on whales from prominent biologists and paleontologists. NOTE: Parking is always a problem on and near the campus. We strongly recommend taking public transportation. If this is not possible, public parking in the campus vicinity is indicated on the UC Berkeley Parking and Transportation website. Dinosaurs are among the most successful group of vertebrate animals ever to walk on the planet. Their stunning morphological diversity and worldwide fossil record – coupled with their modern-day surviving lineage, the birds – continue to fascinate the student in all of us. Novel analytical tools and techniques allow paleontologists to probe, image, and decipher bone microstructure and preservation critical for testing previously held ideas on dinosaur growth and development. Recent dinosaur discoveries and research by our speakers are helping clarify evolutionary relationships and generate new and exciting questions on dinosaur growth and behavior. 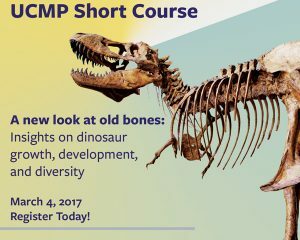 Please join us as our experts share their latest research and reveal changing perspectives on the evolution and paleobiology of dinosaurs. NOTE: Parking is always a problem on and near the campus. We strongly recommend taking public transportation. If this is not possible, public parking in the campus vicinity is indicated on this two-page pdf.